In history Beethoven's Violinconcerto always seems to have had opponents and advocates, but a fact is that this piece has many layers which become clearer when musicians dive into it and give us, the audience, back a profound understanding of it in their performance. 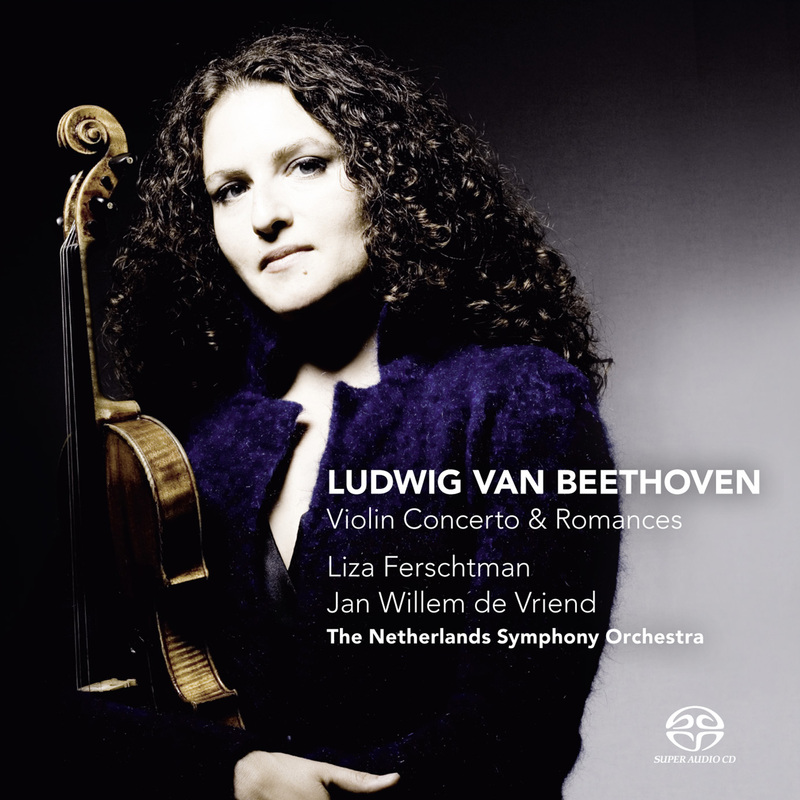 This is what violinist Liza ferschtman does. She shows us her vision of this masterwork in a sublime and radiating performance which touches you to the bone. The chemistry between her as a soloist and the orchestra is very clear and beautiful indeed. The exquisite melodies of the Romances are a perfect addition to the concert. Thanks for your enthousiastic comment. About the cadenza Liza plays. It is the 'original' cadenza in the Beethoven Violinconcerto. That is: the cadenza that Beethoven himself composed for the pianoversion. The arrangement for violin was composed by Wolfgang Schneiderhahn. We hope we have informed you fully now? Hello, I am a site reviewer for SA-CD.net (pseudonym Geohominid) and have purchased the Beethoven violin concerto for review. Please could you tell me what was the score version used? Many of the versions in present-day study scores are based on early corrupt editions. Many thanks!